This was Thursday morning, the day of the second runway show I featured in Monday's post. A group of bloggers gathered together to drink coffee, snack on scones, listen to a short presentation from the Naturalizer team, and then pick out any pair of shoes we wanted in the store. Yes, I'd say it was better than being in my cubicle that morning. If you know anything about Naturalizer, you know that they're all about comfort first and foremost. 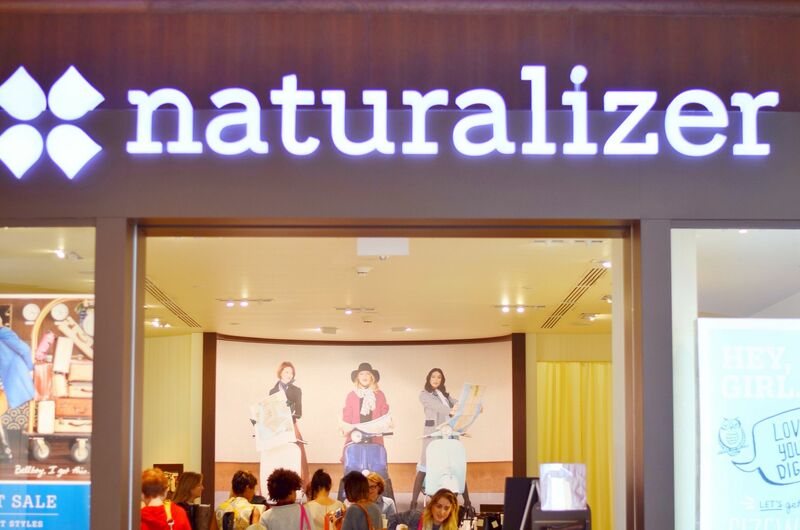 What I did learn, however, was that Naturalizer falls under the umbrella of Brown Shoe Company, whose corporate offices are located in Clayton, a suburb of St. Louis. Sam Edelman, Franco Sarto, and Via Spiga are a few other Brown Shoe Company brands that may ring a bell with you, and are no strangers to this blog. 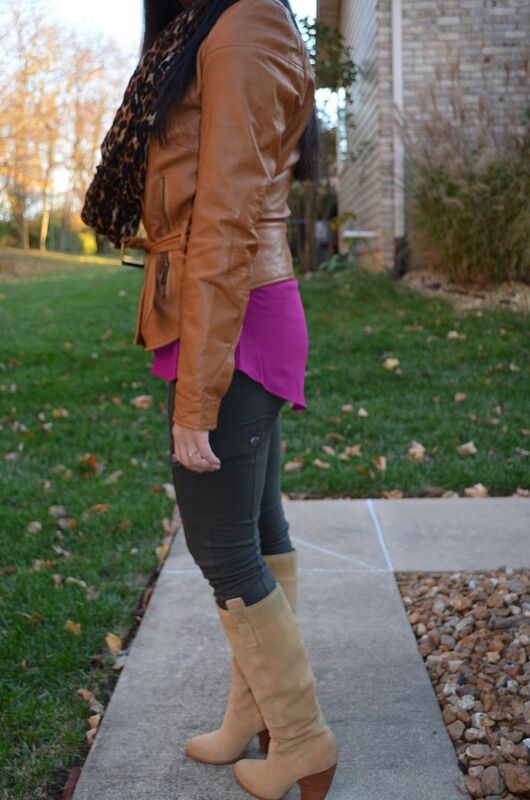 I've had a few pairs of Naturalizer shoes in the past, but my all time favorite are these boots pictured below. I've had them for 6 years. SIX. The folks at Naturalizer have a knack for designing well fitting boots that are classic enough to last season after season - and did I mention that they are comfortable? Needless to say, when it came time for me to pick the *one* pair of boots to take home with me, the struggle was real. I wanted all of the boots! Ultimately, I ended up ruling out the black knee high boots with gold buckles. As much as I loved them, they are a bit too similar to the exact boots I was wearing that day and I couldn't picture opportunities where the knee high pair would be any better than the booties I already owned. If I didn't have the booties already, these would have gone home with me stat. They have a hidden wedge! The cheetah booties stole my heart immediately, but I need more animal print in my closet like I need a hole in my head, so just out of sheer quantity, I had to force myself to put these in the "no" pile. I've been on a lookout for comfy boots I can throw on in the winter for my commute to Pilates, but well, let's be real - using my "free" shoes for that purpose would be silly. It was hard to part with these though - the back zip allow you to fold over the fur, making them look even cozier! So that left me with my top two contenders. 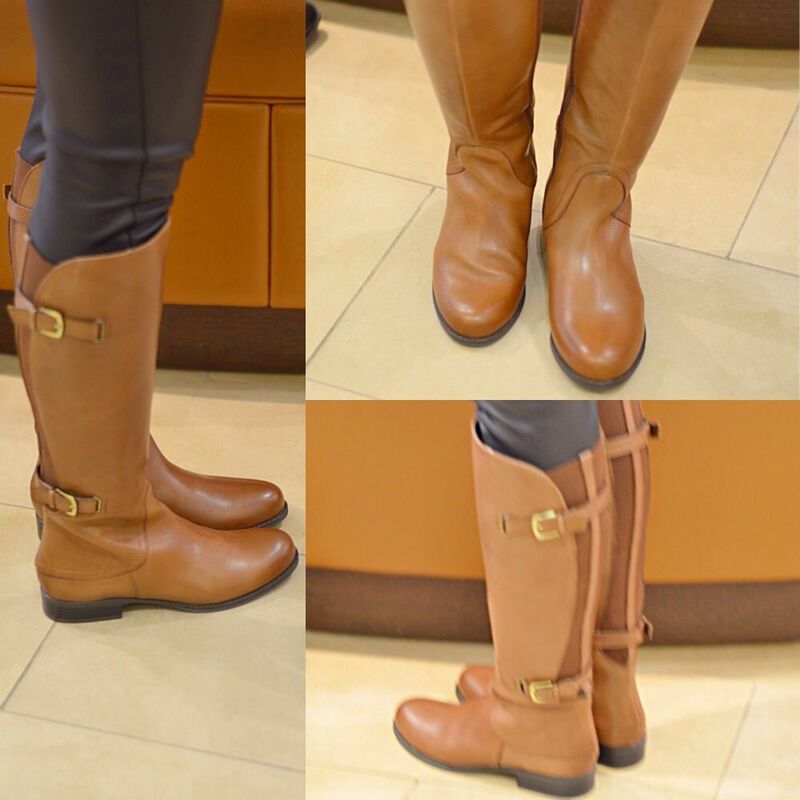 A classic cognac riding boot and the grey, mid-calf, suede buckle boot. 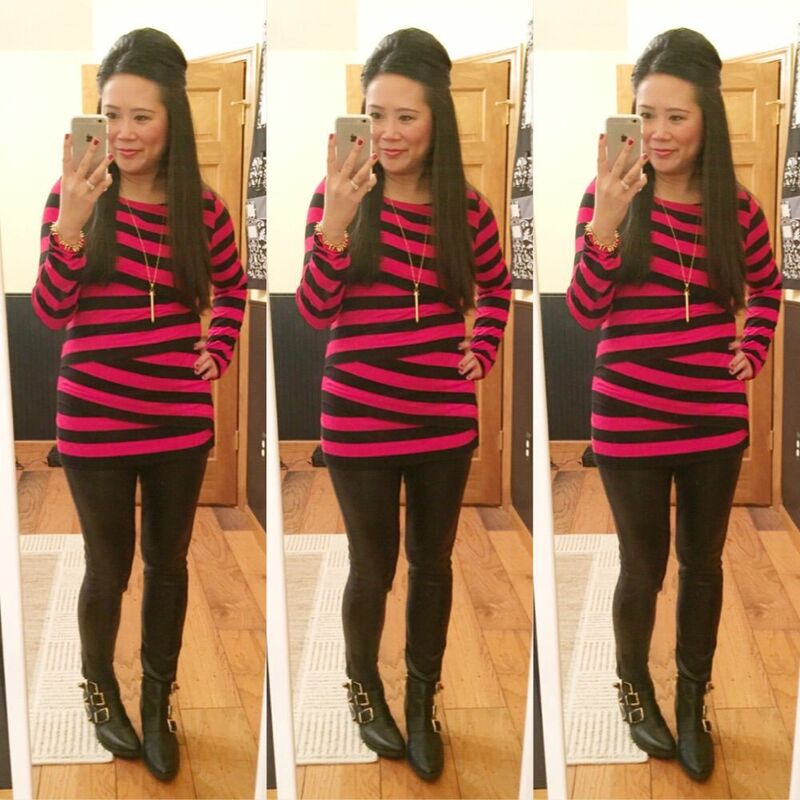 These are the Janelle riding boot, one of their best sellers, and I can certainly see why. As soon as I put them on, I thought for sure they would come home with me. I loved the clean look from the front, and the detailed seaming on the back - reminds me of the tights with the rear seam line running down the back of your leg - emphasizes the curves of your calves for an awesome feminine detail. In the end, I chose the grey boots. They're different than anything I have in my closet, and the hidden wedge makes them special and harder to find elsewhere. I know the buckles aren't for everyone, but I love the extra edge and detail. Very happy with my decision, and it's been hard to take them off ever since! Afterwards, to replace all the calories we burned trying on shoes, Alive Magazine treated us all to lunch at The Restaurant located at The Cheshire. Our server had us at "blood red mimosa" and the rest was history. I was bad and ended up getting fish and chips, which is my weakness. I couldn't wait to wear the new boots - it was an easy decision to pull them out for work Friday morning. Mid-calf boots can be hard to style if the proportion isn't quite right, but with my skinniest of jeans, I thought they looked great. If you haven't been to Naturalizer in awhile, I encourage you to check them out! And yes, while I did receive these boots in exchange for this post, all opinions expressed here are my own. I certainly see more Naturalizer shoes in my future! 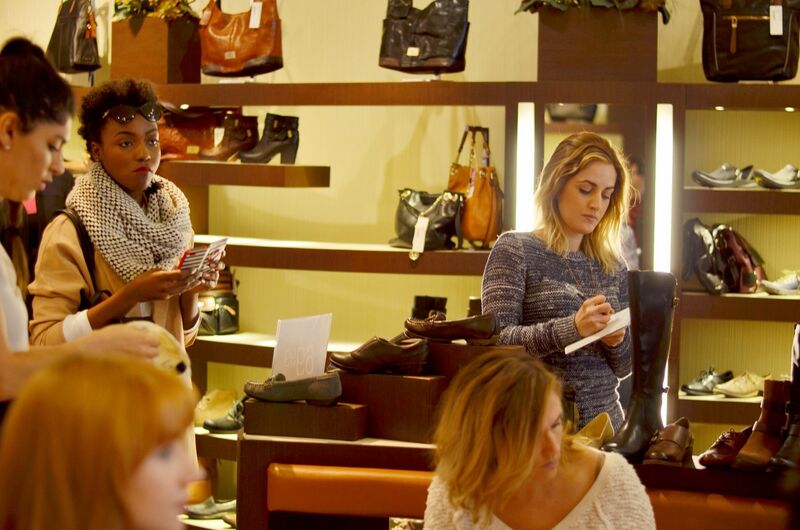 A big thank you from this shoe addict to Naturalizer, Brown Shoe Company, and Alive Magazine for such a fun event! Linking up for: Tremendous Tuesday, #AllAboutYou, Erin and Laura for Trend Spin Linkup, Thrift Sisters with Ayana and Keren, What I Wore Wednesday, Random Wednesday. All these boots are gorgeous! I have a hard time pick one! The choice was hard - seriously! What a fun post! 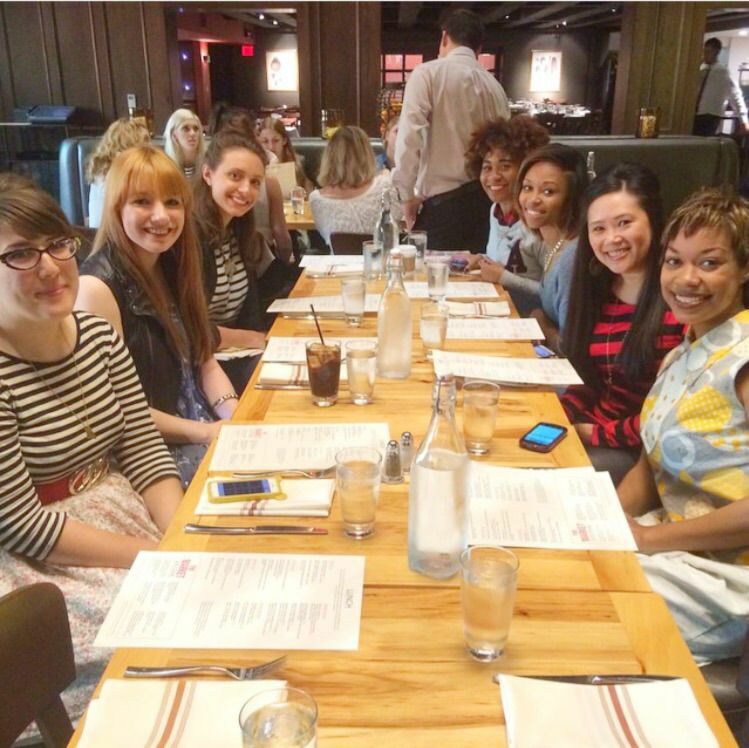 Loved reading about your *2nd* best experience in blogging (thanks for that! LOL) and it was interesting to learn how one company manufactures shoes under all of those other labels! I guess a lot of industries work that way (e.g. cosmetics, watches) but it didn't cross my mind that shoes would be that way. Fascinating! 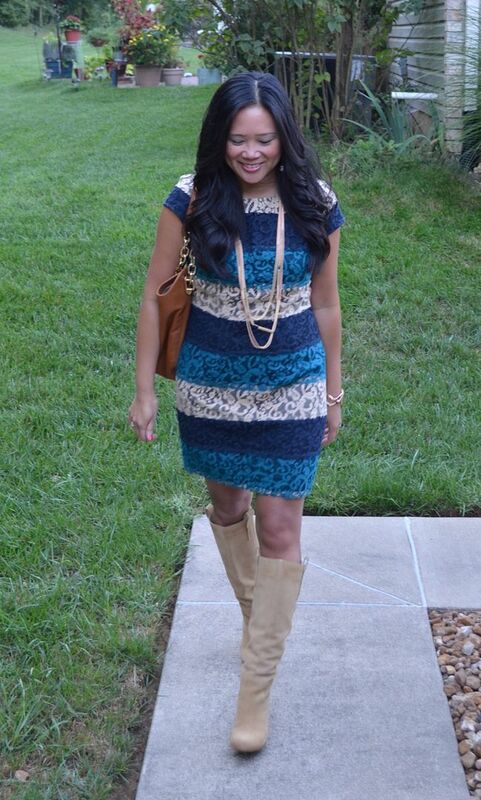 LOVE LOVE both outfits in this post and want to steal them, and I think you chose the perfect pair of versatile but not similar to anything you have booties! Awesome!! 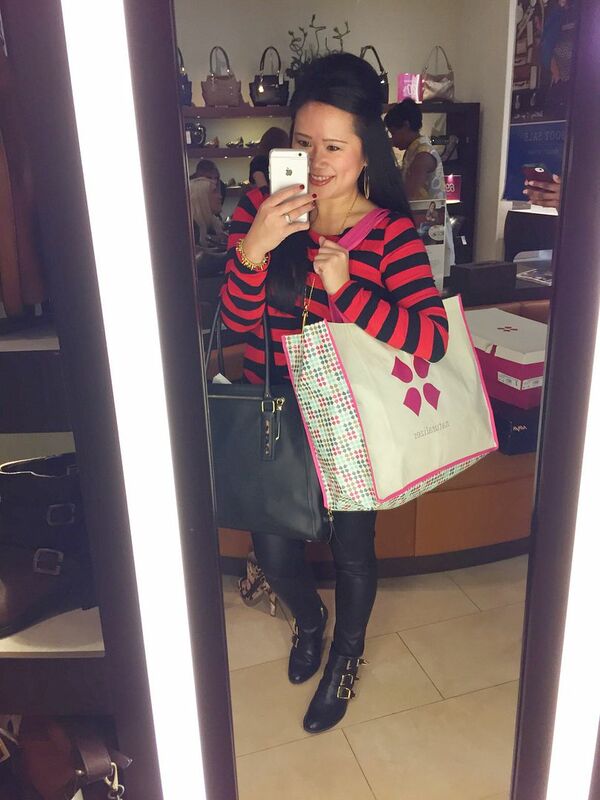 A fun night with other bloggers, SLFW, a shoe presentation, and a free pair!!!! Perfection really!! I love your final choice...my hear sinks for grey and I love that those are mid-calf. Shakes it up a bit from a typical "bootie". The hidden wedge is coming around in full force this year...what do you think of that now that you've worn them? Is the purpose to make you taller? I love them! Height is subsequential to me. I know I carry myself different in heels vs flat shoes. Plus, especially with my hidden wedge sneakers (that are controversial in and of itself), the hidden wedge lifts my foot so that the skinniest part of my ankle still shows vs making me look like I have a cankle. Does that make sense? I would have a really hard time picking a boot set, but the grey one was a really good choice. 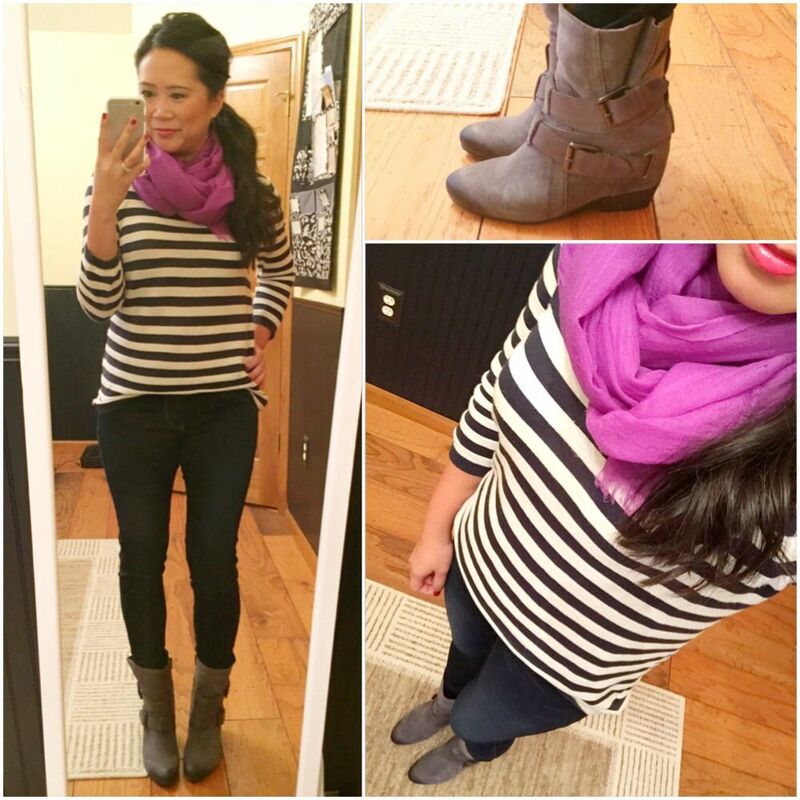 Love how you paired with the last outfit, and added the purple scarf. Very nice. Thanks so much! I have already worn them three times, is that bad?! Thank you! I am glad you agreed with my final decision!! It was a hard choice! I certainly recommend them! They were great!! Have to confess I have never tried fish & chips, like ever. Ever?!? Haha! Well, it's really just friend fish and most times its fries instead of actual chips. 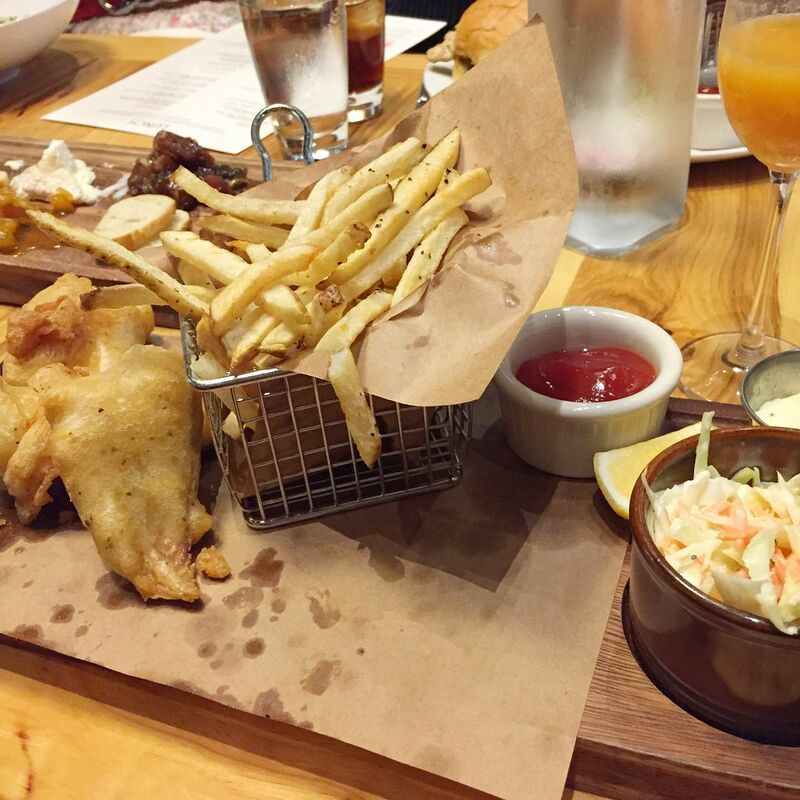 I liked fried anything and I like seafood anything, so it's right up my alley. The cognac ones were great and you're making me regret not picking those. But I guess I could always just stalk them and buy them too! Great shoe pick! 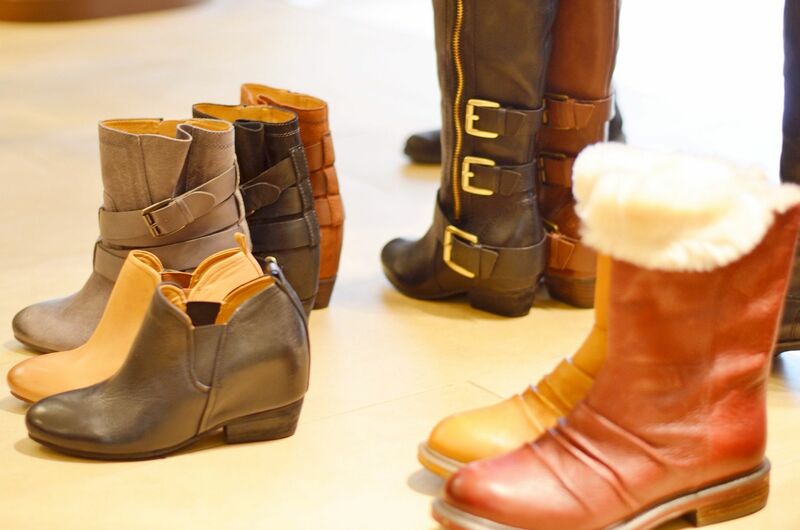 It's hard to find stylish boots that are truly comfortable and long-lasting. Yes, it is! I know these will be around for a long time! Those boots are all great, but I totally dig those grey ones you picked. And I love it when clothing or shoes stay with me for a long time. It's the best feeling. Affirms my decision to have bought them in the first place! The event looks like so much fun! The grey boots you picked are so cute! I can't wait to see how else you style them. I never really think about Naturalizer, but all of the options above look great. You should definitely check them out! I think you'll be surprised how much you like! All of these boots look great. My top pics are the hidden wedge and the funky one! Yay! They were great! Glad you agree! Looks like a great event!! I love the gray ones you picked out. It really was! Very impressed by the whole thing. Thanks for popping over here! Yayyyyy for Express scuba leggings! You are working 'em here like a champ, babe! Looks like they treated you well!!! So lucky! Reading this post was like a romance novel, which boot is she going to choose?!!! Haha! I think you made the right decision. I love naturalizer, my fave brown sandals of the summer were from there. So comfortable and so cute! A romance novel! Love the way you put that! But it most certainly was like that! My head was going to explode! Too much excitement and had no idea where to start! When I saw the boots you were choosing between - my heart immediately went for the grey wedge boots - they're so cute - and they're definitely very you! I was so pleased when I saw you picked them - can't wait to see them....comfy and chic? I honestly think I need a pair! I wore them again today. I love them, and they're so easy to throw on - even with bare legs! Looks so much fun! Love your gray booties! It was a great time! Glad you like them! great quality! beautiful and stylish choices! I would absolutely have picked the grey boots too! They have a little touch of Isabel Marant edge to them! The cheetah boots are hot too though, you lucky thing you! We don't have this brand here in the UK, maybe I should send you shopping for me! I can totally see IM in these! They are really great - I love them!